Versatile, efficient and stronger than you might think, bamboo has gone from a little-known material to an on-trend building product in no time. When it comes to using attractive, aesthetic and effective building materials, you can’t go wrong with this fast-growing grass. Whether you’re looking to add an addition to an existing property, erect a temporary structure or create something entirely new, choosing bamboo for use in construction is increasingly common. Bamboo isn’t just food for pandas – this robust, inexpensive and aesthetically pleasing material has been used as a primary form of construction in a variety of different cultures and locations. Originating in China, the concept of using bamboo as a building material was born from the plentiful supply of the grass within the country. Fast-growing, strong and tall, bamboo is used in China for anything from paper to clothing, bridges to buildings and even firewood. In China, building with bamboo isn’t a new thing; the techniques to create structures from this material have actually been around for thousands of years. Naturally designed to withstand tropical storms and thrive in wet conditions, unlike more traditional buildings such as woods, bamboo can hold its own in a variety of weathers. Because of this property, use of the material soon spread to other Asian countries including India, Japan and the Philippines, where the materials were, and continue to be, used for anything from basic building supplies through to the creation of wood style floors and decorations in properties. 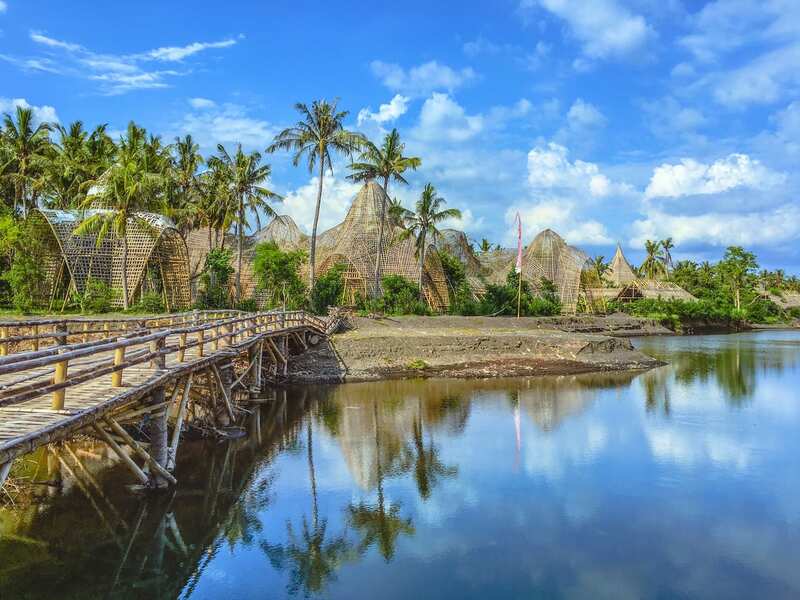 Nipa huts built in the Philippines are an excellent example of what can be achieved with bamboo as a primary material, producing buildings created with a bamboo framework and build upon with woven or split bamboo walls. These buildings are highly resistant to flooding, wind and rain, thanks to the flexibility and versatility of their main building material. Bamboo isn’t just a sturdy material, with a compressive strength that can be four times the strength of woods and timbers, it’s also capable of adaptation to its required purpose, from the ‘wood boards’ created from the material to fabrics woven from the grass. 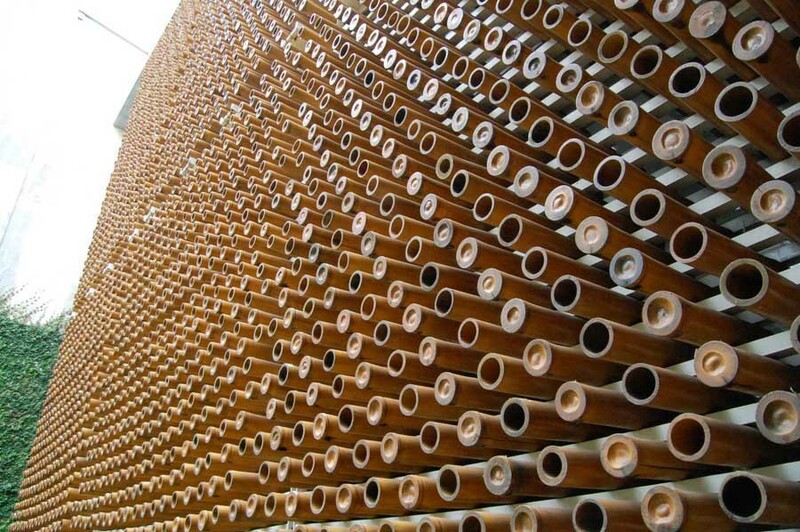 For construction, bamboo can be effectively shaped into compressed blocks or squares – and these techniques have been used for many years to create lasting structures. In China, signs of bamboo bridges dating all the way back to the 10th century are still visible to this day, giving an insight into just how long-lasting and durable the material is. There are many reasons that bamboo is still used as a building material to this day. Not only is this material stronger than many timbers, but it’s also far quicker to grow, with many species capable of being harvested less than a year after being cut. This speed of growth ensures there’s never a shortage of the material, and reduces the overall price of building with and purchasing bamboo as a construction material. This low cost, combined with high strength, makes bamboo a favourite of many architecture firms or teachings, and the material is used for anything from local, small-scale eco-friendly builds to towering skyscrapers in China. This versatility and the various ways in which construction materials can be formed from bamboo makes the creation of buildings that have the strength and stability of that material easy. The variety of different methods in which bamboo can work ensures that even if an architect designed many different structures from the same raw materials, the end appearance could be entirely different. The transformative nature of bamboo means it can be used as a replacement for specific materials in projects as well – such as certain woods that may carry more expense or be less eco-friendly to farm. Known as a ‘green’ construction item, bamboo is less harsh on the environment in several ways. Because bamboo is a grass, it takes up less space, takes less time to grow and requires overall less care and maintenance. The unused material from the building process can also be recycled or used as fertiliser. 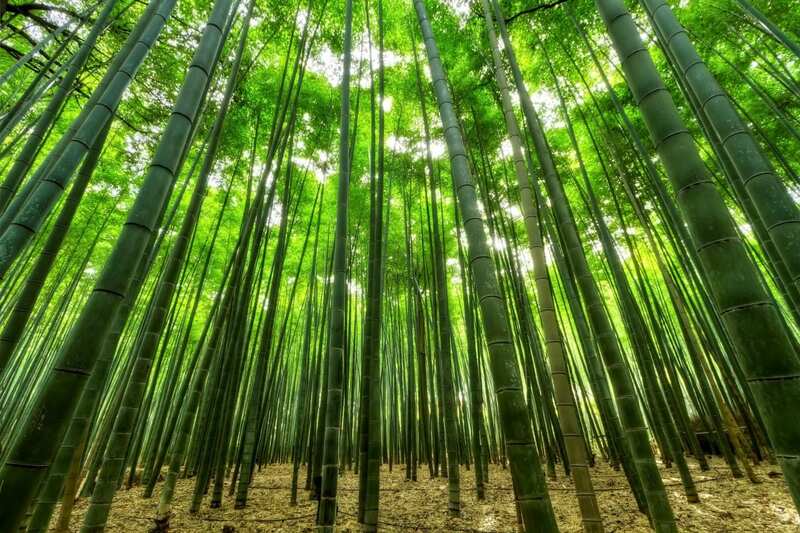 Bamboo has far fewer growth requirements and can grow in a multitude of different weathers. Because of these factors, eco-conscious architects often opt for bamboo as the most viable eco-friendly material for building anything from private properties to commercial buildings. The weather resistance of bamboo is also a huge advantage. In areas such as Asia, where anything from earthquakes to tropical storms may occur, buildings require a level of flexibility and energy absorption. This is the case in many other places in the world, and the use of bamboo provides increased defence against seismic activity and other weather conditions. If used correctly, bamboo can offer a superior build quality to traditional materials. Unlike other more unwieldy or less beneficial eco-positive choices, bamboo has the benefit of being both functional and attractive. Capable of adapting to a wide variety of designs and style choices, including modern facades often used by high-value properties, bamboo can be used practically anywhere to make a building greener. From beautiful wood-like flooring to attractive wall cladding and even simply interior and garden design, bamboo has multiple uses that can be drawn from when creating new projects. Compared to the use of timber, concrete and bricks, bamboo is a sustainable resource that allows architects and property owners to create sturdy, appealing homes, offices and commercial premises while reducing the harm they cause to the environment. For those looking to be truly eco-conscious, any form of construction and furnishing you use within a building can be replaced with the bamboo equivalent with ease, and little additional cost. Look no further than Dezeen’s 10 best bamboo properties to see how using bamboo doesn’t mean you need to sacrifice impact. Bamboo isn’t just used as a sole construction material for buildings. In combination with other materials, coverings and combination building items can result in an aesthetically pleasing design that is as practical as it is attractive. Often, modern structures in Asia and countries all over the world combine bamboo as a decorative and structural design choice with a variety of other materials. This could include floor to ceiling windows, appealing facades or even timber and woods. As architects begin to design buildings more in line with the organic design of the surrounding environment and develop structures with a focus on eco-friendliness, bamboo is becoming an essential part of the construction process. With ever-growing awareness of the general public, from homeowners to CEOs, and a need to appear more green, incorporating bamboo into a design can be a quick and easy way to reduce waste while offering other positive benefits. You only need to look at Wallpaper’s feature on bamboo architecture to see how the craft has grown. As a tool and construction asset, bamboo has been used for thousands of years, but as we learn more about its strength, versatility and compatibility, we can use it more and more effectively. Not only does this further reduce the impact on the environment, but it also results in better created hybrid buildings designed to look good and last. The combination of bamboo with a variety of different materials allows businesses and property developers the choice of their aesthetic without sacrificing the practicality of a material that has been known to last for centuries. As more and more complex structures and designs develop, incorporating bamboo into modern design elements and contemporary concepts, such as with the facades we supply at Alsecco, is becoming more of a reality than ever before.